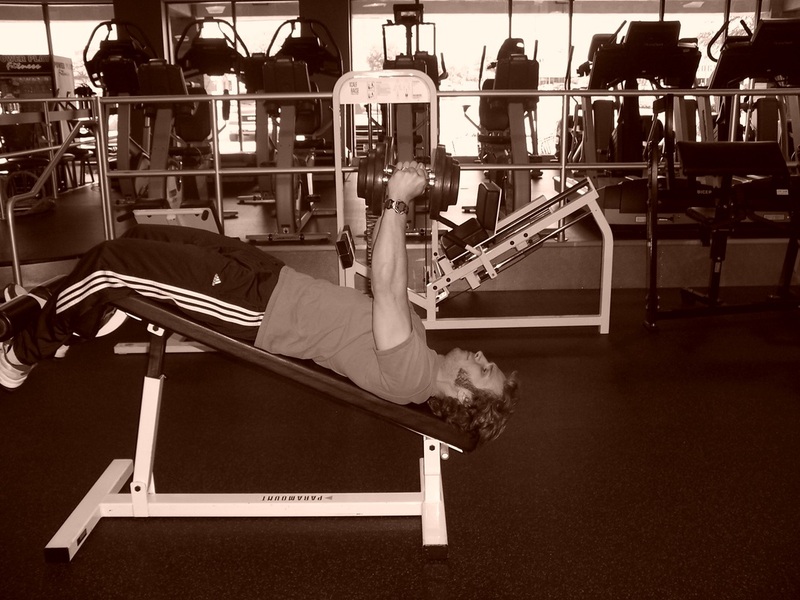 Dallas Personal Trainer - A good way to develop maximum pec flexibility and teach the lats and pecs to contract correctly...some bodybuilders use this move regularly, however not very many Dallas Personal Trainers use this exercise with their clients on a regular basis. 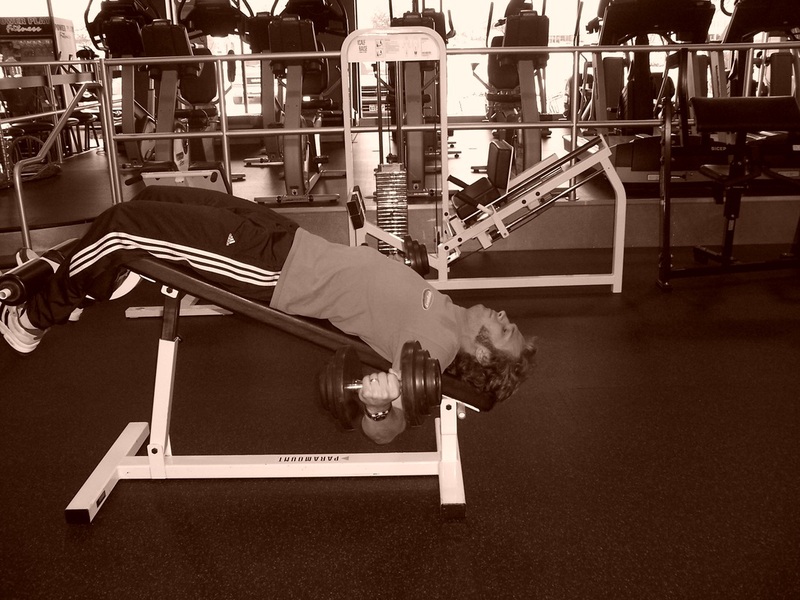 These are the same as Flat Flyes except they will be performed on the decline bench. Make sure that your shoulders don't shrug, keep your lats tight (armpit muscles), and focus on contracting your chest muscles as tightly as possible.